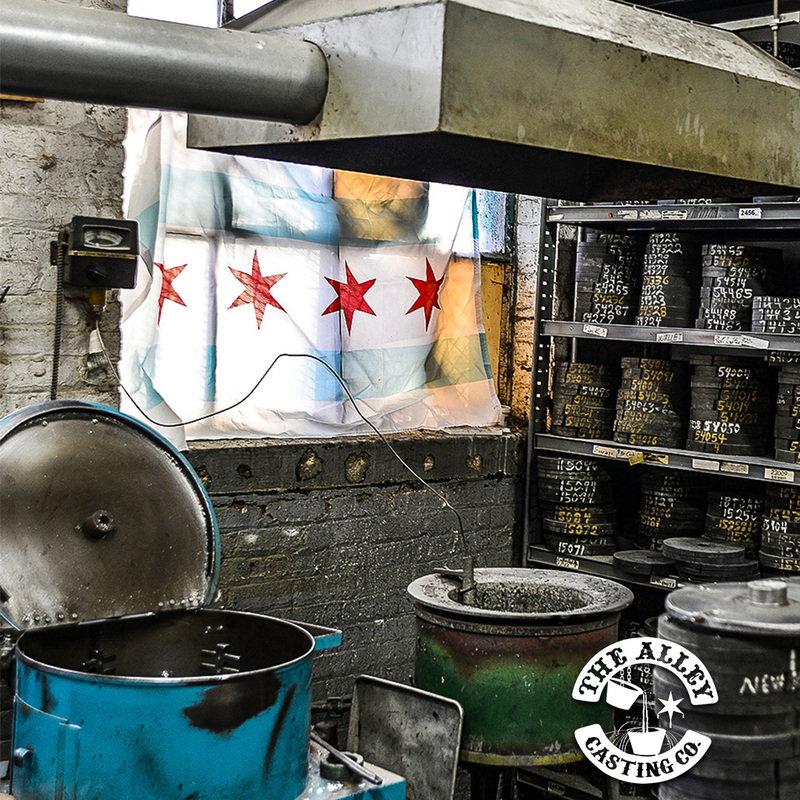 The Alley Casting Co. is cast right here in Chicago! 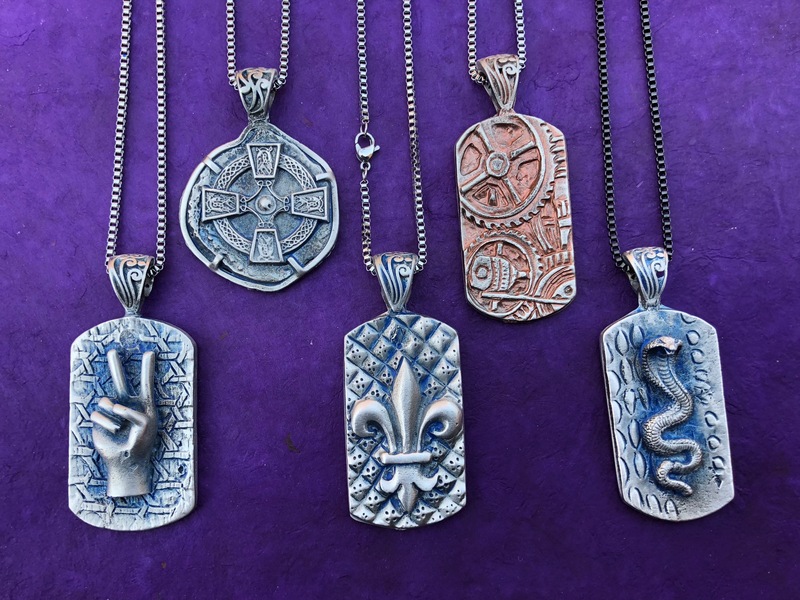 Hand-made silver pewter cast jewelry made in the USA is something we are very proud of. Alley Casting President Mark Thomas using vulcanized rubber molds to set pewter into for casting. 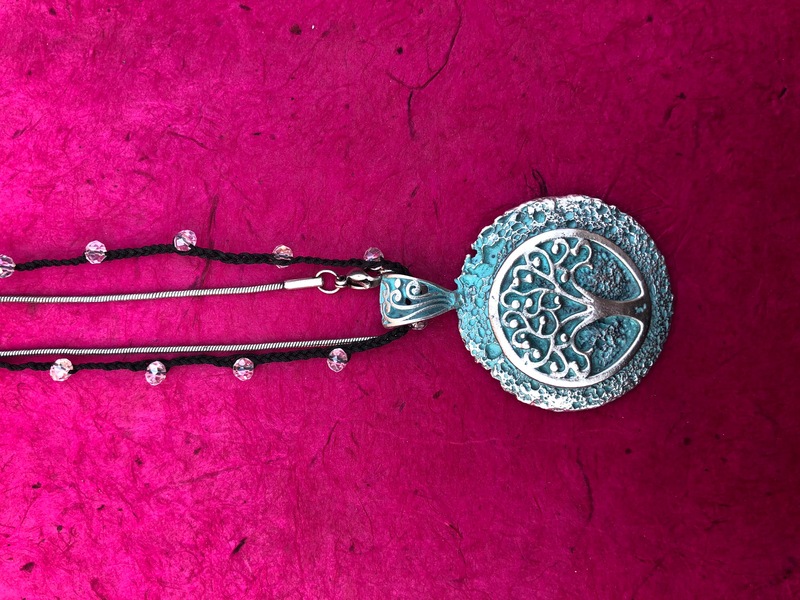 The Alley Casting Co. Has Dozens of Exciting New Pieces : Necklaces, Ear Rings, Bracelets & More! 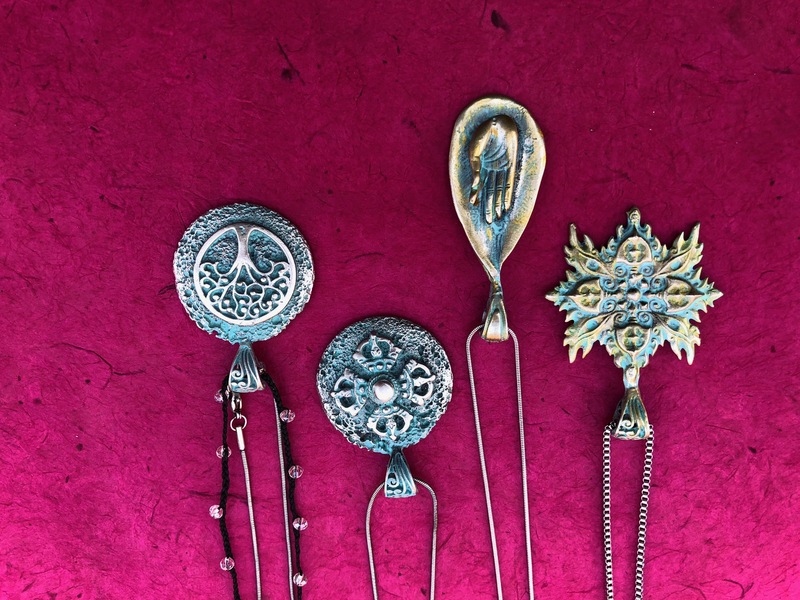 The Alley Casting Co's NEW line of products blends old world, unique, eclectic designs with hand made care, and contemporary market style. 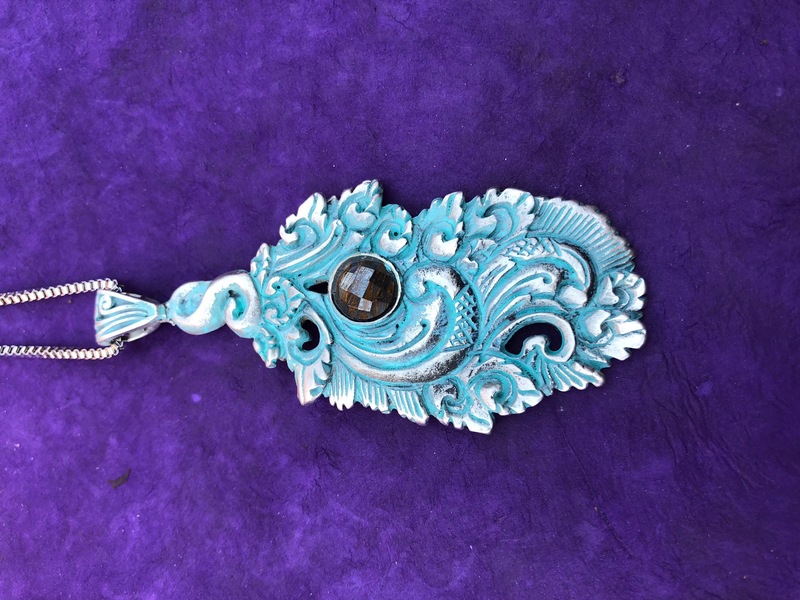 At the age of 17, Mark Thomas bought jewelry casting equipment, and discovered the art of working with pewter based metals. For over 40 years, he has stuck to his roots, toying with various metals but always sticking to core values of quality of metals and original, creative designs. In doing research, he discovered 50-60 years ago a metal combination of pewter and sterling was often used. Realizing the whiter and harder finish qualities, he thought it would be great to blend this with all the global inspirations he was finding, especially in places like Thailand and Indonesia, along with the influences of Hill Tribe Silver, and its white antique finish. In 4 million plus miles of travel, in obscure markets in multiple countries, in countless antique markets and vintage shops, many found objects were discovered to blend all these inspirations. 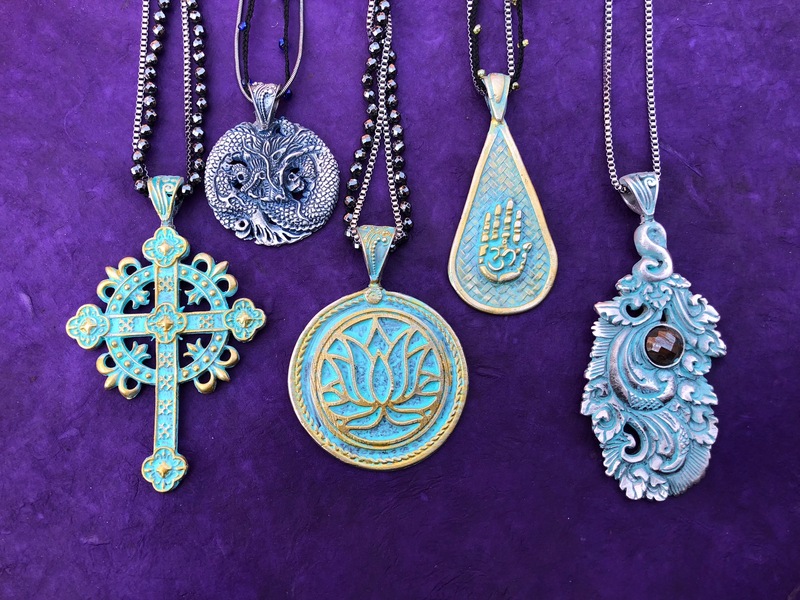 The Alley Casting Co. ONLY uses what is considered lead free sterling pewter. Adding lead to an alloy can help create characteristics—such as softness and lower melting temperatures—that are useful for many applications. 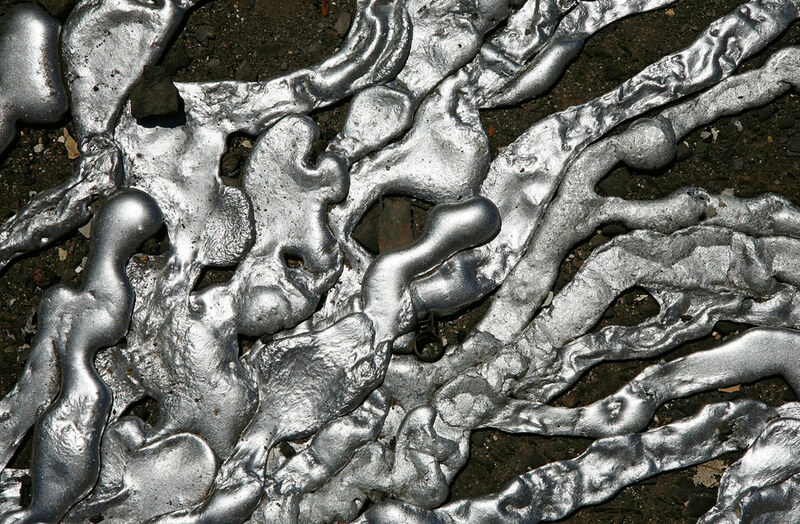 However, lead also is a neurotoxin that is dangerous to animals and humans. Small children are more vulnerable to the effects of lead exposure than adults because their bodies and brains are still developing, so it’s crucial to ensure products that come into contact with children have extremely low levels of lead.